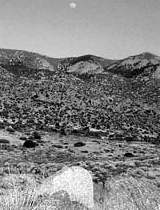 Information about Sandia Foothills Open Space. April - October: 7: a.m. to 9 p.m. Holidays: Sandia Foothills Open Space areas are open 365 days a year. The Sandia Foothills Open Space contains approximately 2,650 acres of steep sloped hills intersected by gravelly drainages at the base of the Sandia Mountains. The numerous drainages support a wider variety of shrubs including chamisa, apache plume, three-leaf sumac and oak species. Wildlife in the Foothills includes mule deer, coyote, black bear, cougar, rabbit, rock squirrel, lizard, and rattlesnake - plus a wide variety of birds. Elevation ranges from 5,720 to 6,800 feet above sea level in the area. The plant species include a variety of grasses and wildflowers, cane cholla and prickly pear cactus. Single-seed juniper and piñon trees dot the landscape. Elena Gallegos / Albert G. Simms Park. View on Google maps. Embudito Trailhead provides access to to Embudito Trail #192 & Foothills Trail #365. East of Tramway on Montgomery Blvd, north on Glenwood Hills Rd. and east on Trailhead St. View on Google maps. Piedra Lisa Trailhead provides access to Trail #365 and Foothills Trail. East of Tramway on Candelaria Road and south on Camino de la Sierra. View on Google maps. Menaul Trailhead provides 4 shaded picnic areas and access to trails 365 and 401. East of Tramway on Menaul Blvd. View on Google maps. Embudo Canyon Trailhead provides access to Embudo Trail #193 & Foothills Trail #365. East of Tramway on Indian School Road. View on Google maps. Copper Trailhead provides access to Foothills Trail. East of Tramway on Copper Ave. View on Google maps. Manzano/Four Hills has hiking, mountain biking and equestrian trails. End of Stagecoach Rd. in the Four Hills Village neighborhood. View on Google maps. Route 66 Open Space was acquired in 2011 and is currently under development. It is contiguous with the Manzano Open Space/Four Hills. 1/2 mile east of the Tramway exit on the I-40 frontage road. View on Google maps. Trailheads provide access to the Foothills trails as well as the Sandia Mountain Wilderness Area, managed by the US Forest Service. Recreational opportunities include hiking, horseback riding and mountain biking. A map of the Foothills trail system is available. Picnic shelters are located at the Elena Gallegos Picnic Area, Menaul, and Embudo Canyon. View information about fire prevention and restriction levels.